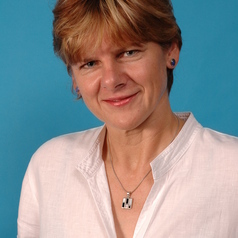 Prof. Lynn Morris heads the HIV Virology laboratories at the National Institute for Communicable Diseases (NICD) in Johannesburg and holds a joint appointment as Research Professor at the University of the Witwatersrand. She completed her undergraduate degrees at Wits and received her DPhil from the University of Oxford in the UK in 1988. Following this she was a post-doctoral fellow at The Walter and Eliza Hall Institute of Medical Research in Australia before returning to South Africa. For the past 23 years, Lynn has been involved in researching the virological and immunological aspects of South African HIV-1 subtype C infection making significant contributions to our understanding of how the antibody response to HIV develops. HIV vaccine development is now a major focus of her research and she is responsible for performing neutralizing antibody assays on human clinical trials conducted in South Africa. She has supervised or is currently supervising 22 PhD and MSc students and has published over 190 papers in peer-reviewed Journals, holding a current author H-Index of 47. Lynn is internationally recognized and has received numerous rewards for her contribution to HIV vaccine research. In 2014 she was the recipient of the University of the Witwatersrand’s Vice Chancellor’s Research Award and more recently in 2015, recipient of the South African Medical Research Council’s Gold Merit Award.